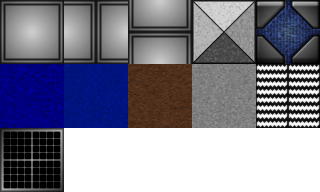 So i was making some flats meant to replace Chex3 textures, i don't think they are any good but i'm releasing them because maybe someone can make them better. Use as you wish, Public Domain. Hey, I don't think the flats are bad. In fact, may I use them? The flats look fine to me. 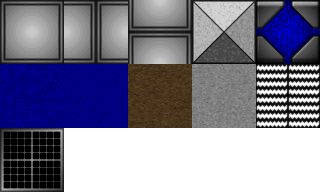 Considering what ugly trash I created today from a really good looking marble block texture I made in gimp when I tried to change it over to the palette I used for The People's DooM. Of course it looks great in the DooM palette. Those flats are actually pretty darn good. I especially like the telepad. You may use them as you see fit, no credits needed.